I've had this problem with my cell phone for the past couple of years. Somehow, despite my best efforts, telemarketers have gotten ahold of my cell phone number. In addition to that, I'm STILL getting calls from debt collectors for the person I assume had my phone number before I got it, which was around 4 years ago. This is really annoying. Like, really, really annoying. I've got my own debt collectors calling, I don't need this "Sherry's" collectors calling me as well. Lucky for me, though, warranties are just a cute, ignorable line of text from the manufacturer and I promptly root all devices within 15 feet of me. 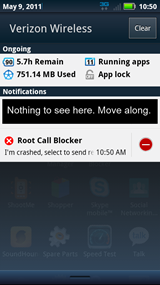 If you hate getting phone calls and have root access, I'd like to introduce to you the one, the ONLY, Root Call Blocker. 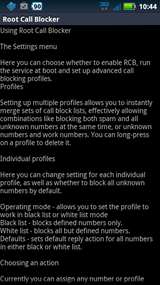 I know what you're thinking (Really, I don't, but it could possibly be this): "But, Brad, there are already so many call blockers for Android. What's different about this one? Also, how can I be more like you?" Well, to answer the second question first, you can be more like me by living a life full of exciting car chases and large explosions. Also, you should probably be afraid of bees. Well, not like AFRAID afraid, but just...don't trust them. For the first question, there is one big reason Root Call Blocker is different: Your phone responds at the system level and never rings. 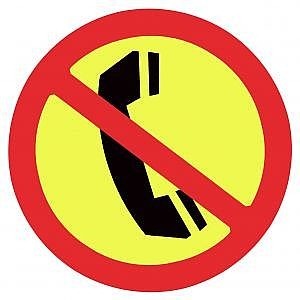 This app isn't simply hitting the ignore button for you - it is making your phone's network state roundhouse-kick telemarketers and annoying friends in the teeth with neglect! 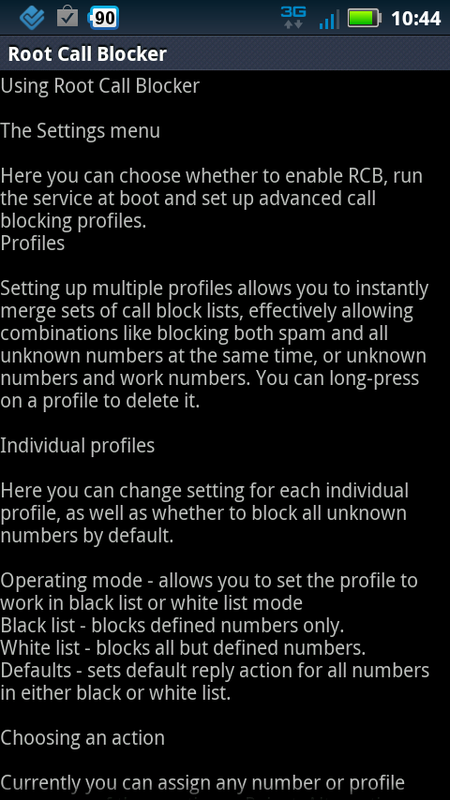 The app even allows you to select how your network state reacts to a blacklisted call. 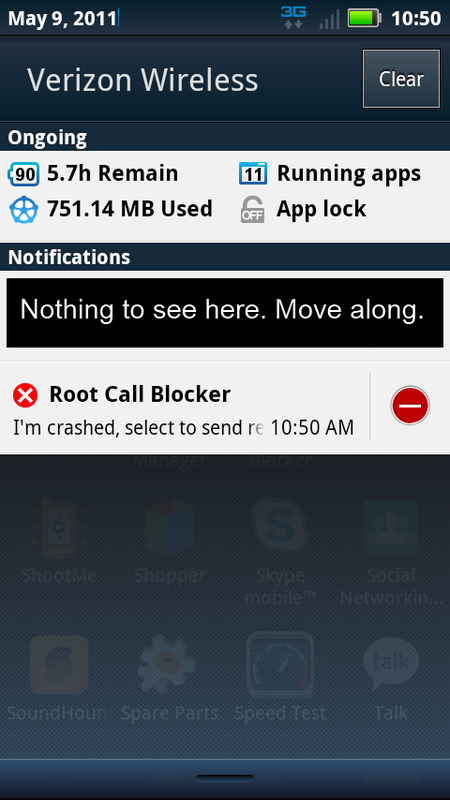 Root call blocker has taken my hermitage to a whole new level. Less talking, more blocking, I always say. 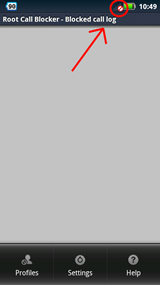 When you first start the app, it obviously will not be blocking anything. You'll need to load up the list of people you hate first. The app open to the list of people it's blocked which, again, is nobody yet. From the main screen, all of your options are presented: Profiles, Settings, and Help. It's pretty obvious what all of these mean, I think, so I won't bother going into detail about them. Suffice it to say, if you want someone to be blocked, you can manage to accomplish that, one way or another. 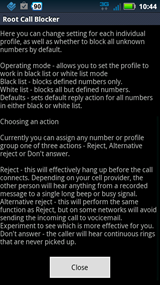 Now, let's talk about the network actions: You have 3 options: Reject, Alternative Reject, and Don't Answer. I tried out all three. My network deactivated silently, the call went to voicemail, and my network came back on. Victory. Yes, that's the same image, with the same space-age, trillion-dollar CG effects. 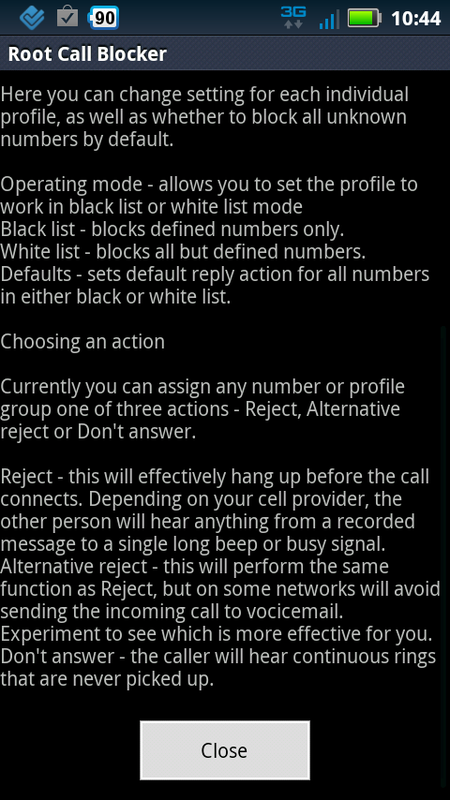 It was an identical result to the "reject" option, and it still went to voicemail, despite what the help menu told me. Crashes! 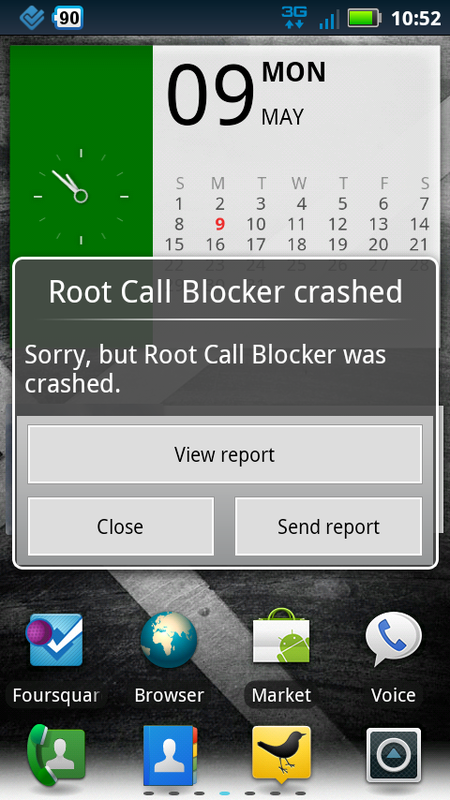 Root Call blocker is in beta, so I guess this is understandable. 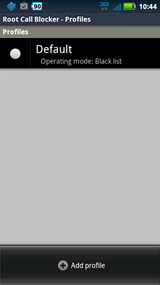 The result was the same on my EVO 4g. 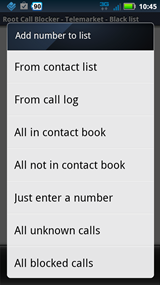 All options reacted the same way and "do not answer" crashed the app in some sort of call-ignoring hangover. 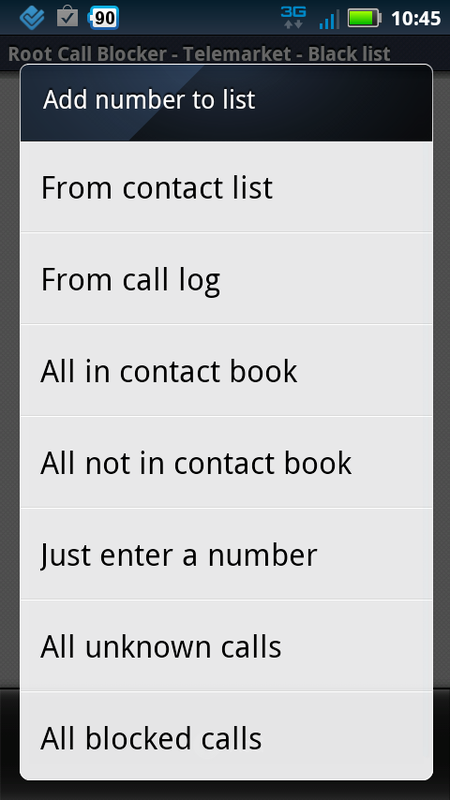 None of these options gave me a notification when a call was blocked, though. They did, however, block phone calls and, really, that's all I needed in the first place.